This is truly amazing, A Dunk can CHANGE your life. We wish the best for Hafid and I have personally invited him to the 2015 High School Slam Dunk Championships in Indianapolis at the Final Four which will air on CBS during Final Four Weekend. Special Thanks to Hafid and his Mother for getting a hold of Team Flight Brothers to be the source to break the BIG DUNK that made him #1 on SportsCenter's Top 10 Plays, Also a special thanks to KOMO4 in Seattle for giving this great kid such a nice piece. 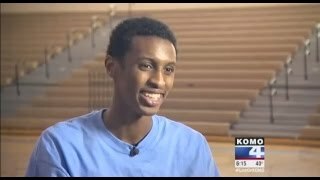 HS Senior Hafid Yassin's Dunk goes viral, News Story "It changed my life" HS Senior Hafid Yassin's Dunk goes viral, News Story "It changed my life"
HS Senior Hafid Yassin'... HS Senior Hafid Yassin's Dunk goes viral, News Story "It changed my life" 1mn ... Team Flight Brothers 2014 DUNKS OF THE YEAR! HS Senior Hafid Yassin's Dunk goes viral, News Story "It changed my life" ... HS Senior Hafid Yassin's Dunk goes viral, News Story "It changed my life"
Phoenix Suns Gerald Green Windmills with his CHIN OVER THE RIM!